Orthodontics have come a long way in recent years, with advances in modern techniques and technology we are now able to straighten teeth faster than ever before – and without the embarrassment of a mouth full of metal! A straight, beautiful smile is within reach with Invisalign® – let your smile shine through treatment! At The Center for Cosmetic & Family Dentistry, we are proud to offer our patients teeth straightening with Invisalign®. Invisalign® is a revolutionary orthodontic teeth straightening system that allows our patients’ smiles to shine through the course of treatment. Invisalign® aligners are completely translucent and virtually invisible – no one will even know you’re wearing them, except you and your dentist. They are also removable, which allows you to continue eating your favorite foods throughout treatment, and maintain optimal oral hygiene. Invisalign® uses a series of custom-made, clear aligners prescribed just for you, applying gentle pressure to achieve desired results. Each aligner will be worn for about two weeks, and is expected to be worn at all times with the exception of eating and cleaning. Length of treatment varies case by case – mild cases of crowding or spacing usually take about 9 to 12 months to correct, while moderate cases can take anywhere from 12 to 18 months. Invisalign® can correct 60-70% of all orthodontic problems successfully. If you suffer from mild to moderate alignment issues like spacing or crowding, Invisalign® will most likely be a good solution for you. However, if you have severe alignment issues or problems with your bite, you may need to opt for traditional braces. Straightening your teeth will not only improve your appearance and confidence, but also your oral health, as teeth are easier to clean and gums fit better around teeth when they are properly aligned. *The doctors of The Center for Cosmetic and Family Dentistry are general dentists providing orthodontic services. So what are you waiting for? 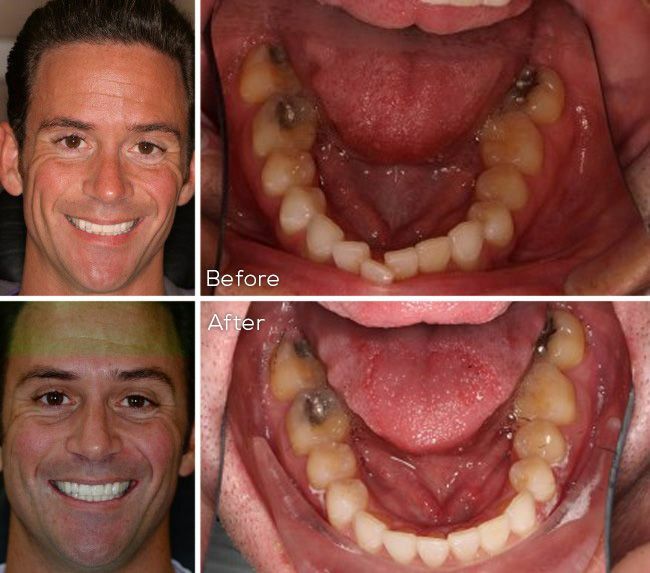 Today is the day to get the beautiful, straight smile you deserve. Give us a call at The Center for Cosmetic & Family Dentistry to schedule an Invisalign® consultation, or request an appointment online! Call 850-810-0300 in Destin, or 850-810-0600 in Panama City Beach.